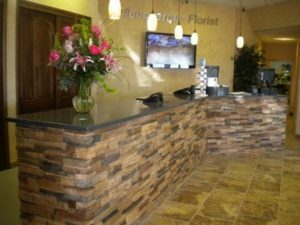 Manning Florist is part of the Albuquerque Florist family of florists. We have provided fine flowers to people in the Albuquerque area since 1995. Manning Florist is dedicated to providing fresh flowers that cater to each client’s needs. We strive to carry only the highest quality flowers. Because of the volume of flowers delivered by Albuquerque Florist, we can skip the middleman and source fresh flowers directly from growers coast-to-coast. Since we have a special relationship with more than 350 farms, we can offer great deals, better selection, higher quality flowers, and optimum freshness — no flowers in a warehouse somewhere waiting to be delivered. Because of our special relationship with more than 350 farms, we can offer great deals, better selection, higher quality flowers, and optimum freshness. Brennen is a second-generation Albuquerque flower shop owner. He started out working for his father at Collette’s Flower Shop in Albuquerque’s South Valley. After a short break from the business, Brennen returned to Collette’s Flowers and, shortly after, merged business with Tartaglia Flowers and Gifts. Brennen formed Albuquerque Florist in 1999. Over the last 17 years, he has consolidated 12 local flowers shops. Brennen believes in delivering fresh flowers and outstanding customer service. For him, 100% satisfaction isn’t just a store policy, it’s his promise. Manning Luxury is housed in the Albuquerque Florist building on Juan Tabo, between Indian School and Constitution.